AkzoNobel is to invest more than €10 million in Sweden to expand capacity for its chelated micronutrients, which are used as essential ingredients in the agricultural market. The project, at Kvarntorp, will help meet growing demand for micronutrients, particularly in regions with poor soil conditions. 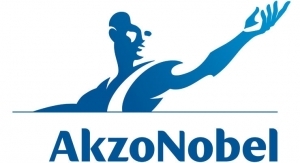 Due to be completed next year, the expansion will primarily add capacity for high performance iron chelates, in which AkzoNobel is market leader. "High performance chelate demand is growing fast, and this expansion will ensure that we can meet our customers' requirements going forward," explained Wout Neleman, Director of Micronutrients at AkzoNobel. "Analysts estimate a global micronutrient demand growth of over 5% per year, partly driven by population growth and the increasing global issue of water scarcity in many regions." High performance chelates deliver essential metals to plants, helping to increase agricultural productivity. This is increasingly important as rising world population reduces the amount of arable land for food production, necessitating the cultivation of poor soils. Application by fertigation - where plant nutrients are supplied in a liquid solution - is key in this segment. "This is an important strategic investment to support our customers and strengthen our leadership position in this market," added Thierry Vanlancker, AkzoNobel's Executive Committee member responsible for Specialty Chemicals. "It also underlines our commitment to sustainability and our Human Cities initiative by helping to increase agricultural yields in regions with poor soil conditions while also supporting the growing trend towards hydroponic agriculture and urban farming." AkzoNobel has partnerships with global fertilizer companies Yara and SQM for worldwide distribution of its chelated micronutrients, which are also produced in Herkenbosch, the Netherlands, and in Lima, Ohio, the US.